It's not about "having" the time, it's about "making" the time! So now that you have your rewards system in place, when are you going to write? Set a schedule for yourself. Decide if that needs to be every day, Monday to Friday, full days on Saturday or Sunday, etc. The idea is to dedicate the time, hold yourself accountable, and be consistent. So what does that mean to you? 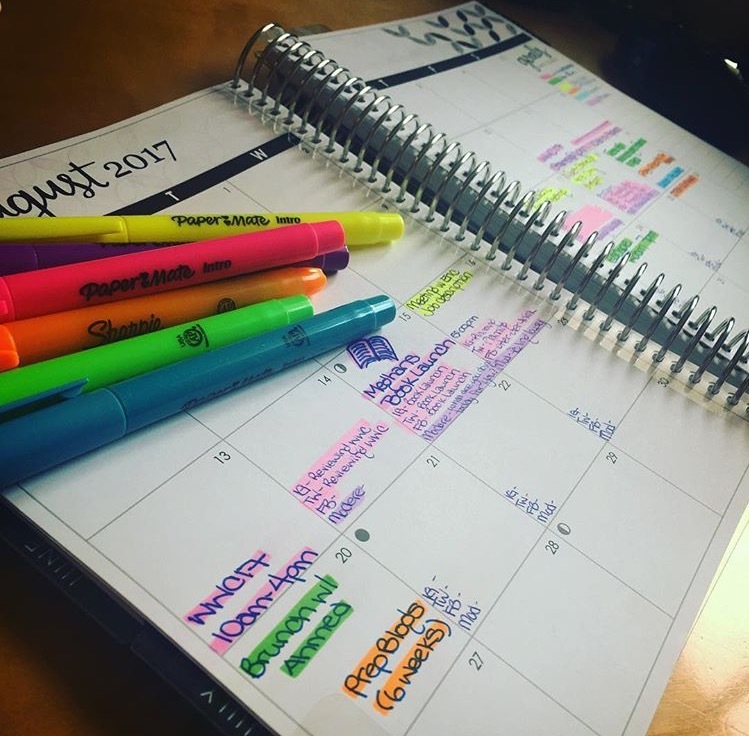 Grab a notebook, an agenda, a printable calendar, or use your calendar on your phone/ computer and lock in a block of time in your schedule to stay on track!